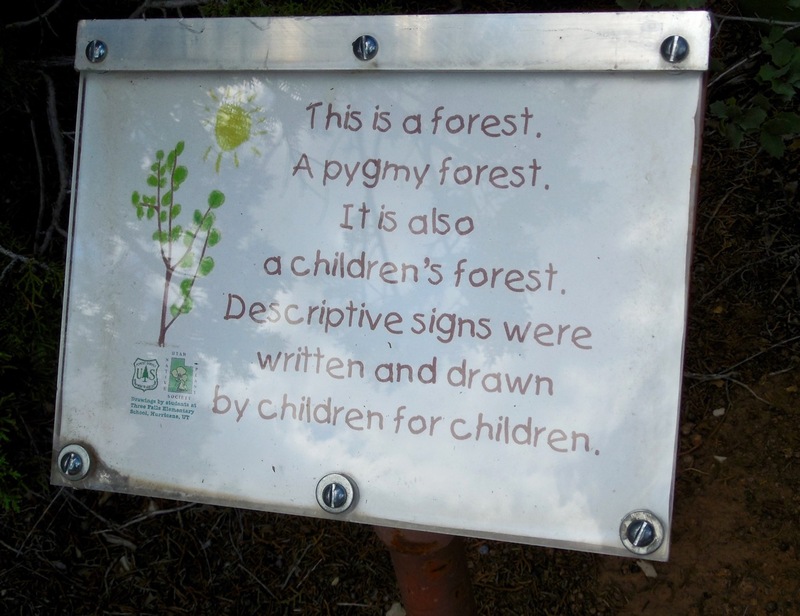 LEEDS — Just a few miles up a dirt road near Leeds lies a small forest treasure built especially for children — although grown-ups will find it a real treat, as well. 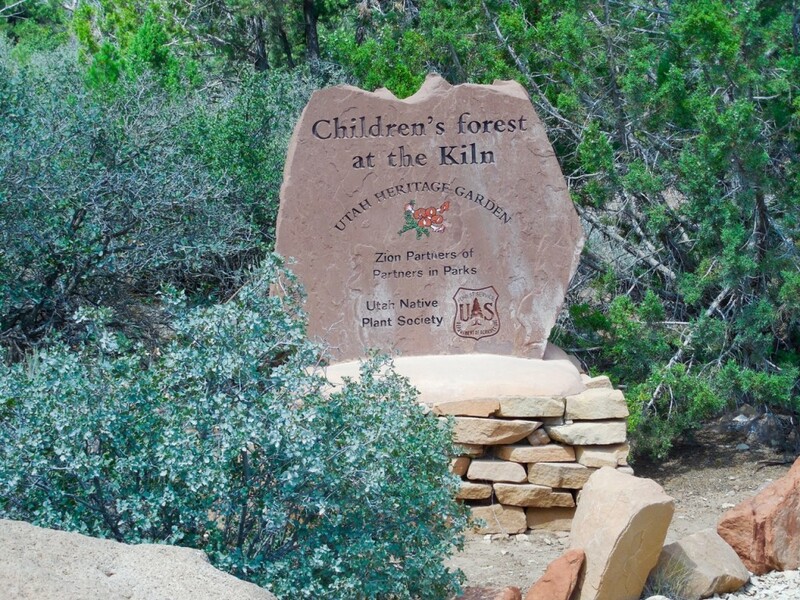 The Children’s Forest at the Kiln offers a charming experience for all. 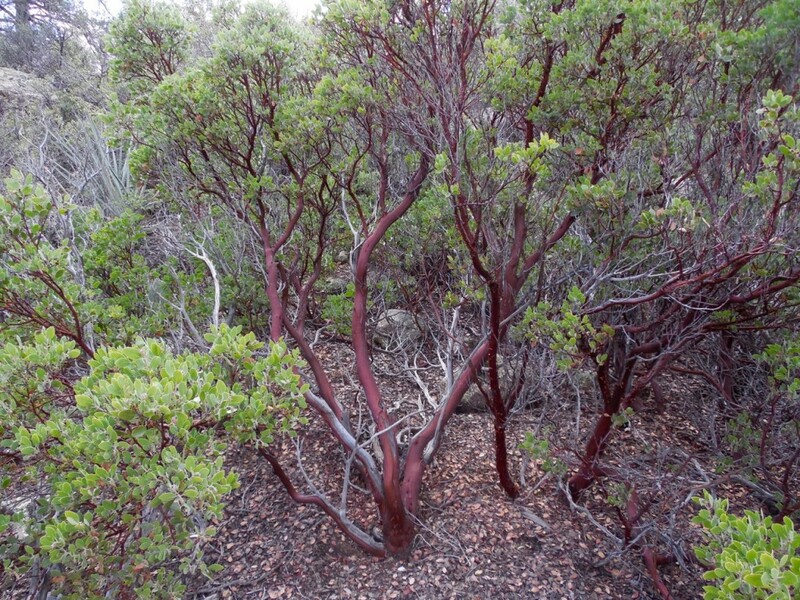 An easy half-mile trail winds through terrain featuring a variety of plants, shrubs and trees, including Gambel oak, juniper, sagebrush, manzanita, cactus, live oak, cottonwood trees and many others. 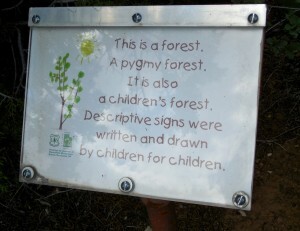 Interpretive signs created by children dot the landscape. The welcoming white gravel trail leads through trees, shrubs and flowers, eventually ending up at the Leeds Creek and the historic Leeds Creek Kiln. The kiln is built of sandstone blocks and mud mortar. 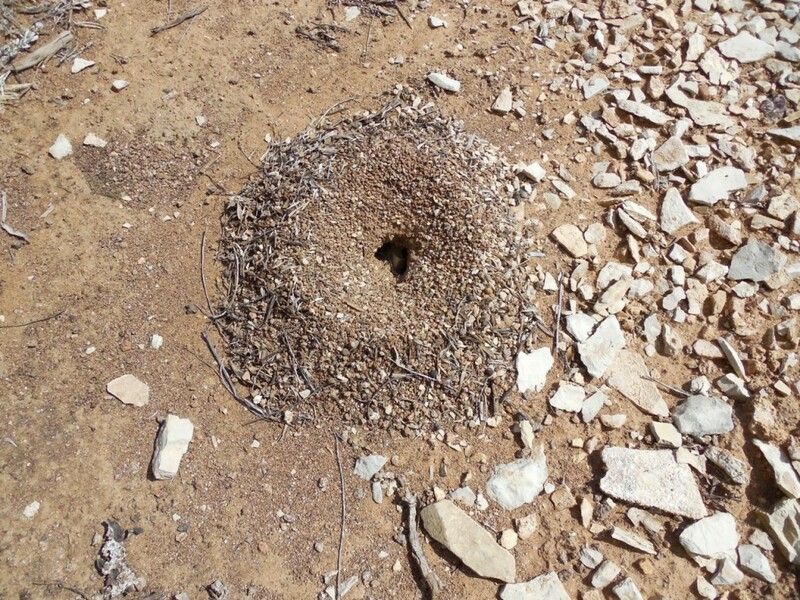 The beehive-shaped oven measures 20 feet in diameter at its base and stands 25 feet high. 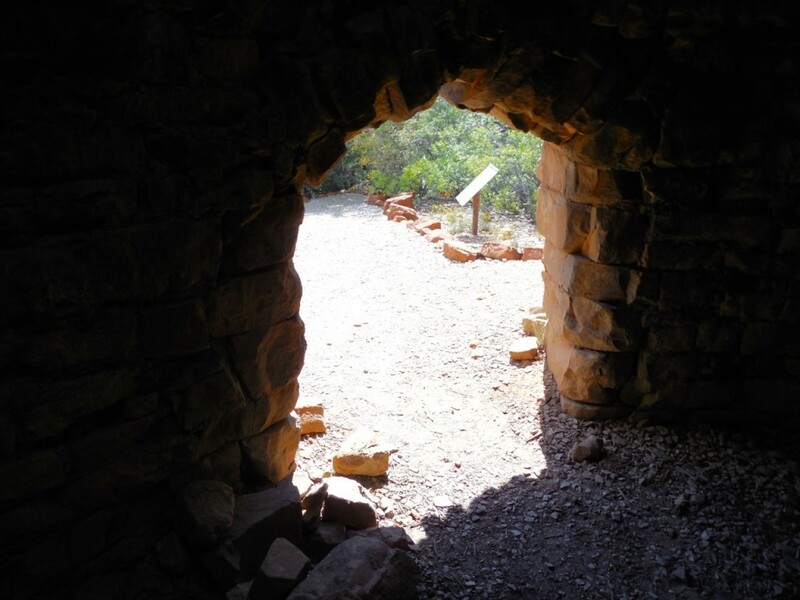 The Roman arch entryway was sealed with a metal door, and the upper entry on the opposite side was used to fill the kiln with wood. Small openings around the base of the kiln were used to regulate air circulation to the fire. According to the Washington County Historical Society, local legend has it that the Leeds Creek Kiln was designed and built around 1885 by Italian stone masons and silver miners. The Roman arch-style entryway and the kiln’s location west of Italian Wash give credence to the legend. 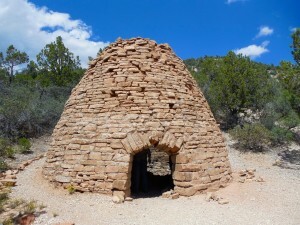 The kiln supported the mining operations for the Silver Reef Mining Area and was used to make charcoal from the surrounding oak and juniper forest. 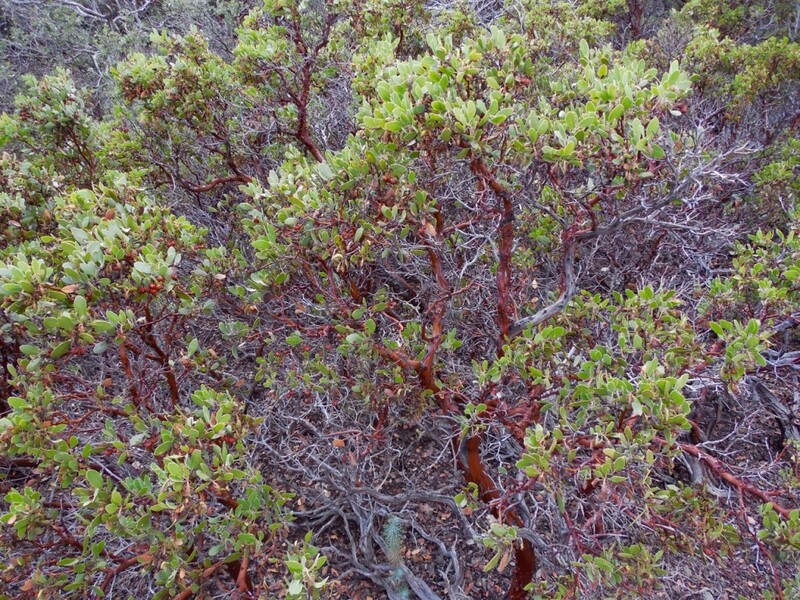 Loggers worked the nearby slopes of the Pine Valley Mountains to provide pinyon pine and scrub oak to fill the kiln. 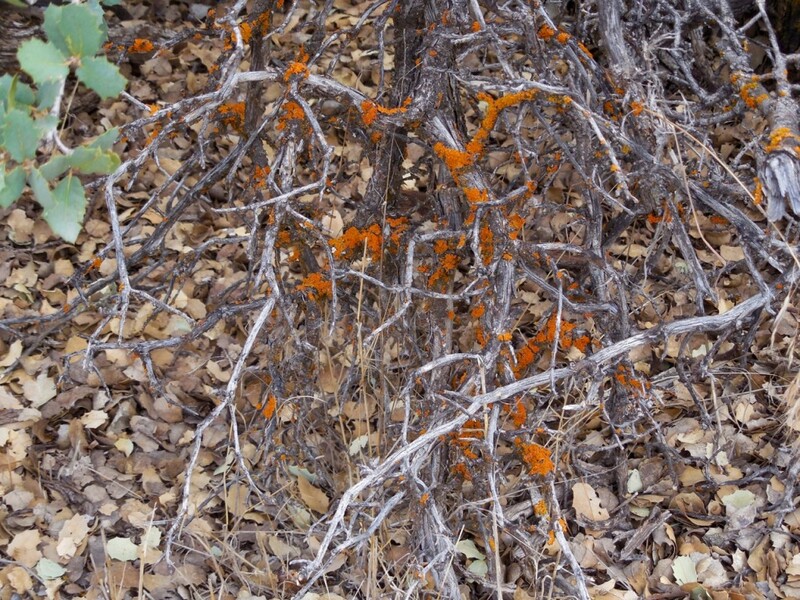 The wood was set on fire and allowed to smolder until the logs became charcoal. Teamsters would then unload the charcoal logs through the main entryway and haul the logs on wagons to the smelter at Silver Reef. 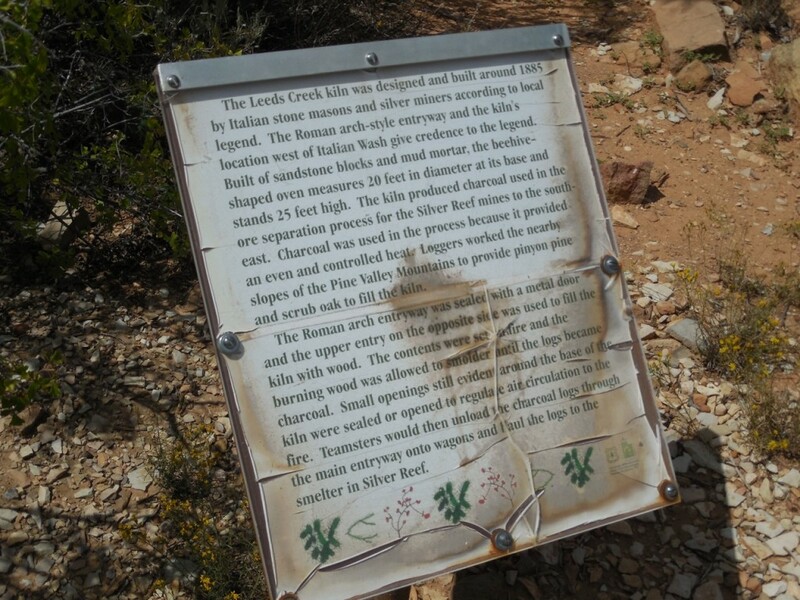 The charcoal kept the smelter at a constant temperature for removing silver from sandstone. 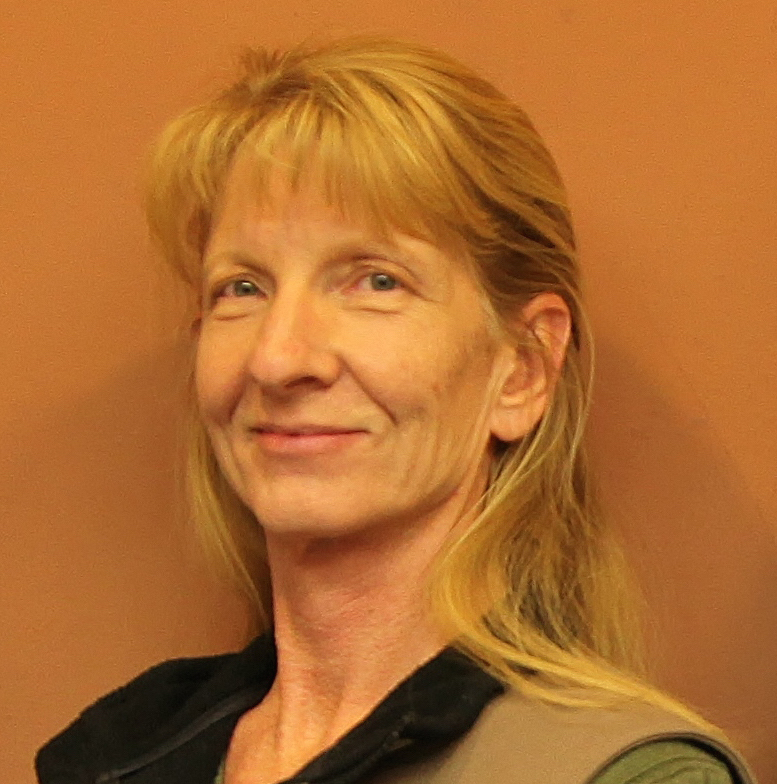 According to the Washington County Historical Society, families from Leeds helped restore the kiln in the 1990s. 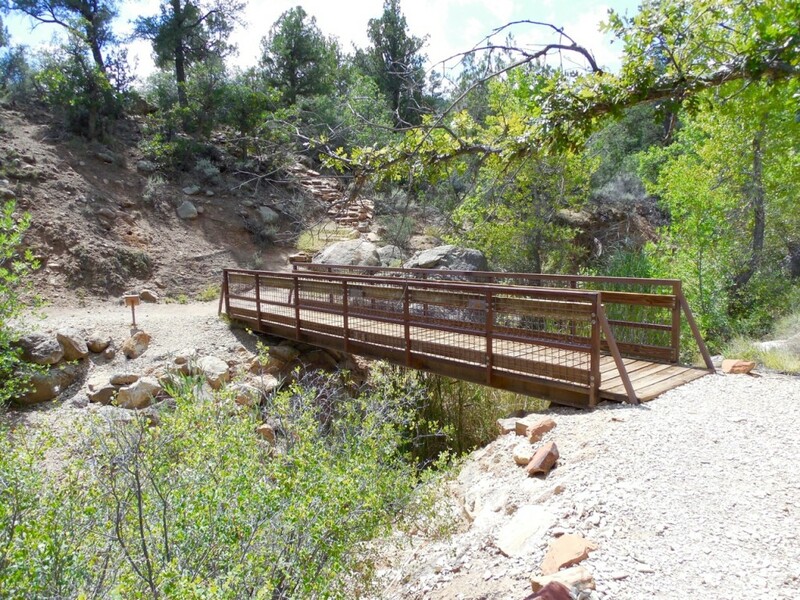 The trail was developed by the Zion Partners, of Partners in Parks, in association with the Utah Native Plant Society and the U.S. Forest Service. From Interstate 15, take Exit 23 or 24 to Main Street in Leeds. 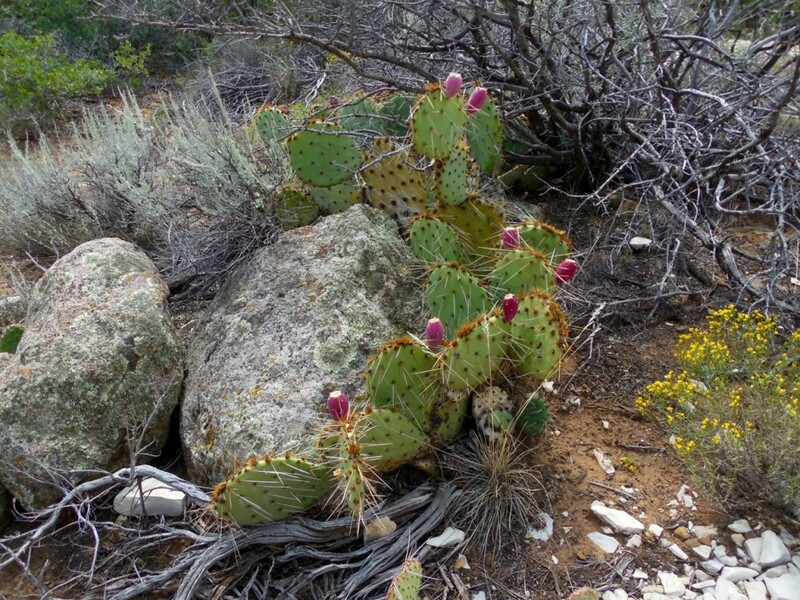 From Main Street, turn west on Silver Reef Road. Wind through Leeds until the road turns into Oak Grove Road. After you pass the last houses, the road crosses a creek bed and turns to gravel. 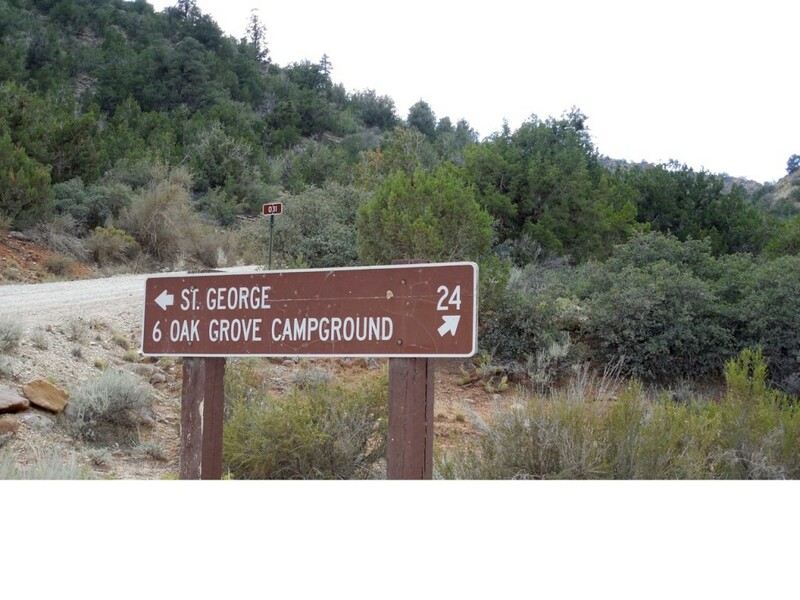 Continue to the “Y” intersection, and follow the signs toward Oak Grove Campground. Soon after the intersection, the road crosses another creek, so look for a sign and parking area on the right.